Time and time again you will hear a friend or family member talk about their well water in New Hampshire, and what the iron is doing to the taste and wellbeing of their appliances. When your well receives water, it picks up elements from the ground, such as iron. Iron can cause a metallically taste, leave rust stains in different areas of your home where water is received, and can even stain your clothes. The nuisance of iron is often more superficial, as the added iron in your diet can be good for you. Small amounts of iron often found in well water can help with anemia or fatigue as you drink it, but as everything else we consume, too much iron can cause health problems. Though it is unusual that the amount of iron found in your water will cause serious health effects, it can and has happened to others before. Hereditary hemochromatosis is a genetic disorder that can cause iron overload. In individuals without this disorder, their intestines absorb a small amount of iron through food to replace the iron lost throughout the day. Those with hereditary hemochromatosis absorb more iron than they have lost, which can result in some serious side effects. An iron overload can have no symptoms or many, including: heart complications, joint pains, fatigue, and liver problems. A simple blood test can determine if someone is suffering from an iron overload. Finding ways to control iron intake in your diet can start simply with iron filtration. 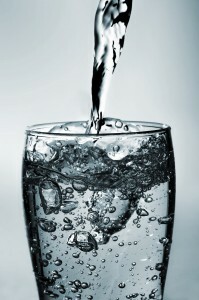 The Water Store offers water filtration in NH to combat any need you might have for your well water. Not only will our system get rid of the metal taste and possible discoloration, it will remove the iron from your water to keep you healthy and safe. If you think your iron might be becoming a problem in your well water, give us a call today at (603) 899-6680 to schedule a water test.